The Panthère watch may have been launched by Cartier in 1983, but to me it’s a 90s icon. Admittedly, at first glance the watch has an over-the-top 80s vibe with its bold gold link bracelet, but the chic way it was worn in the 90s is how I remember it. During that decade, when fashion minimalism reigned supreme, the Panthère acted as virtually the only jewel for some women including Madonna and Gwyneth Paltrow. Madonna flashed hers continuously during the period when she was dating Carlos Leon, gave birth to Lourdes and played the leading role in the film rendition of Evita (1996). She liked the timepiece so much she gave one to singer Alanis Morissette who was on top of the charts with her hit album Jagged Little Pill. After a 21-year long run of popularity, the Panthère was discontinued in 2004. 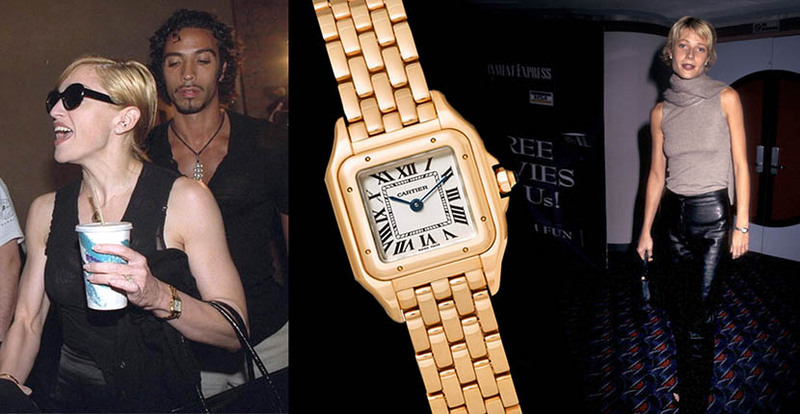 Cartier decided to bring it back after noticing how popular the vintage Panthères had become and spotting the timepiece on stylish stars including Kim Kardashian. The Panthère relaunch is distinctly twenty-first century. A selection of the collection of 14 timepieces that come in steel or gold with and without diamonds are being sold online at Net-a-Porter. The watches range in price from $4,000 for a steel rendition to over $20,000 for gold and diamond designs. There is a series of parties planned for the timepiece. A star studded event took place on May 5, 2017 at the Milk Studios in Los Angeles. 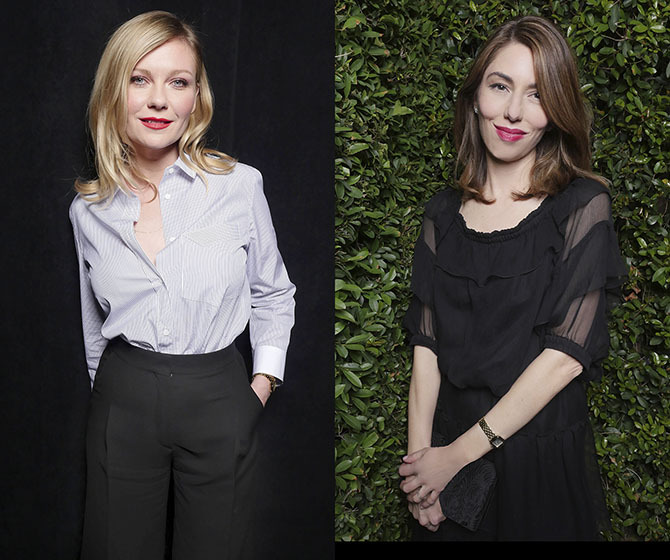 Celebrity friends of the House who attended and checked the time on their Panthères included Dakota Johnson, Kirsten Dunst, Sienna Miller and Sofia Coppola. The director is creating a short film for Cartier about the watch to be released on social media June 1. Also in attendance at the party were models including Miranda Kerr, Arizona Muse and Leila Ndabirabe and social media sensation Julie Sariñana. The festivities went well into the night with a performance by Alicia Keys. You could say the crowd partied like it was 1999.